Another neat idea instead of a guest book is to have a photograph taken of you are your fiance, have it matted in black, and then when your guests arrive at the reception have them sign and leave a message on the black matting with a silver, white or gold pen. When the wedding is done have it framed and you will always have a picture of yourselves with all your guests signatures and wishes for you hanging in your home. 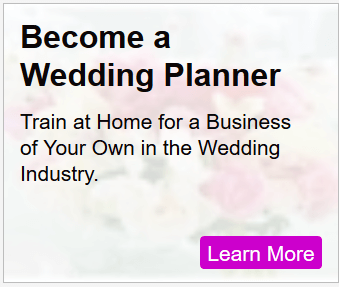 Consider filming parts of your wedding planning process (wedding dress fittings, staying up late making favors or other home made items, the bachelor/bachelorette parties, showers, engagement party, etc.) Give your videographer this video/photos and get them to edit it into your wedding video (photos can be made as stills with music background) so that your wedding video will cover the whole process of the wedding and not just the end product!! 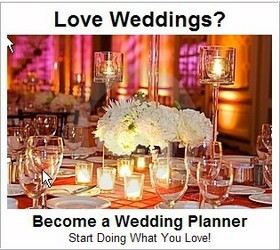 The wedding planning process has a lot of wonderful moments in it too that should be saved as memories! We made some very special thank you cards. On our honeymoon in Jamaica, we went to the beach and wrote out the words “Thank You” in the sand. Then we laid down next to it and had our picture taken. When we returned home we printed the picture on card stock and now we have thank you cards no one will throw away! I recently married and was an older (forty-something) first-time bride. The strapless gowns which are so in style now were not for me and I felt they were not flattering for my age either. I planned a scaled-down morning wedding which consisted of all the traditional elements but for a smaller number of guests. So, I found a bridesmaid’s dress from Watters & Watters online. Most of their dresses are two-piece suit-type gowns, and I felt this was most appropriate for me. I found one I really liked that had a portrait neckline and ordered it in white silk dupioni. I was able to have a luxurious fabric in a simpler style that perfectly suited my age and my wedding style. The bonus was that it was a truly nice fully-lined dress which cost relatively little as wedding gowns go. I got lots of compliments on my beautiful dress. And I plan to have either both pieces or just the skirt dyed a darker color and cut off to street length when I need a dressy suit. No matter your age, consider ordering a bridesmaid’s dress instead of a “bridal gown”. Get it in white or ivory (or whatever color you want for your wedding dress), and no one will know it wasn’t marketed as a wedding gown. 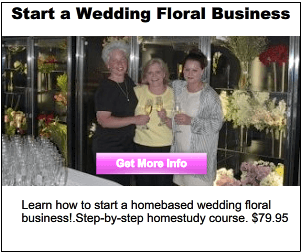 You’ll save a lot of money – in case you haven’t noticed, “wedding dresses” cost a lot more than “Bridesmaid dresses” – simply because they’re wedding dresses! My fiance and I will be married in October, during the peak fall color season. We have invited quite a few children to our wedding, and wanted to find something fun for them to do between our ceremony and reception. Along the road from the church to the country club, there is a family orchard that allows you to pick your own apples and pumpkins. We thought this would be a fun thing to include in our program and we plan to take our bridal party there after we are done with pictures at the church. So far everyone in our party thinks it’s a great idea! Yes, we’ll be wearing formals.. but what’s a little bit of grass and hay compared to a whole lot of fun? !